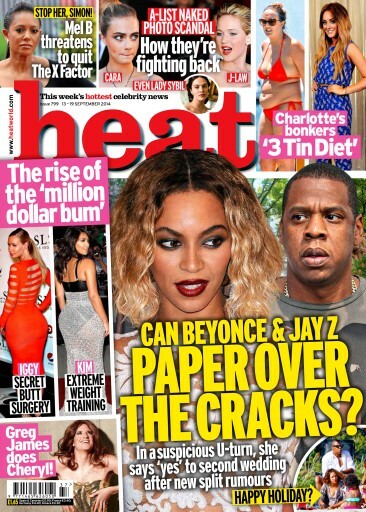 In this week's heat – After new split rumours, can Beyonce and Jay Z paper over the cracks? 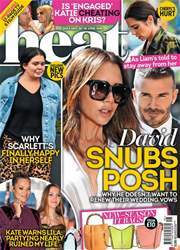 Also, Mel B threatens to quit The X Factor (nooo! 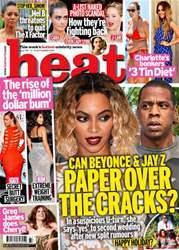 ), Charlotte Crosby's bonkers '3 Tin Diet' and the rise of the 'million-dollar bum'. Oh, and Greg James dresses up as Chezza… just because!